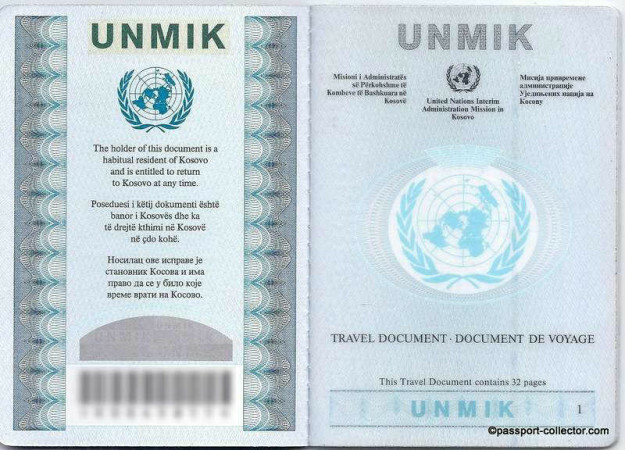 An UNMIK Travel Document was a passport-sized document used to foreign travel for residents of Kosovo who were not able to obtain a passport from Yugoslavia.The document was issued by the UNMIK from 2000till 2008. After the government of Kosovo started to issue their own passports, the UNMIK ceased issuing them. Existing documents retained their validity until expiry (the last ones expired in 2010). The travel document was not a passport as it did not contain information on Nationality and as it was not issued by a sovereign state. 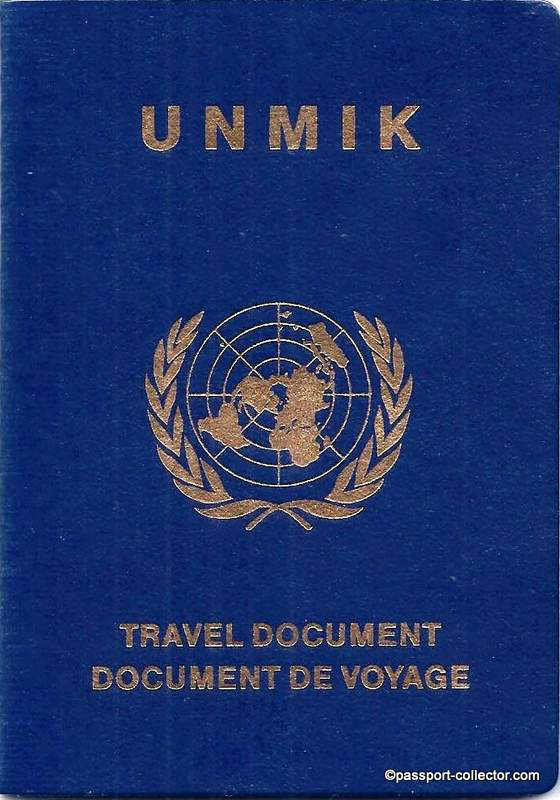 The document carried UNMIK travel document /titre de voyage on the cover, contained 32 pages and was valid for 2 years. The document contained a machine readable strip. As the issuing authority was the UNMIK, the document had the official three-letter code “UNK” where normally the country code is placed. The document was the only other travel document issued by the United Nations besides the United Nations Laissez-Passer, which is mainly issued to employees of the UN and its specialized agencies. As the status of Kosovo was and remains controversial, the document was not widely accepted.For those countries that did accept it, its non-passport status sometimes restricted its applications. For example, although the US did accept the UNMIK Travel Document, it did not place visa stickers in the document itself, but on a detached sheet. Kosovo is the subject of a territorial dispute between the Republic of Serbia and the self-proclaimed Republic of Kosovo. The latter declared independence on 17 February 2008, but Serbia continues to claim it as part of its own sovereign territory. Kosovo’s independence has been recognized by 103 out of 193 United Nations member states.